I feel that my family especially me has been plagued with an evil curse that has been placed onto us by my husband's ex- wife and ex-mother in law. They have one son together who now is engaged to be married very soon and who has also had my husband's first grandchild (a boy). When the son was 15 years old his mother forced us to give up custody and visitation. Within the past year I have arranged a dinner with my husband me and our three sins with his oldest, his fiancé, and grandson. They chose not to bring the baby, which broke my husband's heart. Since we have seen them once meeting the baby at that time. On facebook they brag if their wedding, the baby's events ( birthdays, etc) and post pictures of the baby, the ex, and the ex's husband. I do not show my husband the pictures nog to break his heart but it is hard. we have gone out of our way to try to rekindle the family, but the son is so not appreciating it. I feel that since I started trying to get my husband and his son together to work in father son relationship, that I am physically feeling ill and that our family struggles somewhat something we had not done in the eleven years he was gone. I feel that something bad and evil was prayed onto my family by the ex and her mother. I ask that this curse be removed from my family and reversed onto her and her family. After hurting my husband so much with his grandson I ask that the truth be made known and the bond be desolved so that no harm can be brought onto us again. It would be great if you could buy yourself a copy of the 'Devotion to the Most Precious Blood of Our Lord Jesus Christ' and say some of the prayers in this wonderful book. It contains a prayer for release from curses. It will also provide you with strength and blessings to face the future. Please know that your family and their struggles are very much in my thoughts and prayers. My dear, please never wish for evil to be placed back unto another no matter what the circumstances are. There is no consolation in wishing evil for evil for others. Prayer is the most powerful. Ask our Blessed Virgin Mother for her prayers and intercession. I've included the shorter version of the prayer to St. Michael which is very powerful. 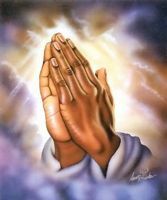 Pray this together or by yourself, but please remember to always pray for those who hurt and persecute you. Pray that their hearts soften and the only cure is forgiveness. You will be surprised at how much that will relieve you of this burden.